You're so seasonally colorful and blogable. You freeze well and make dishes and baked goods worthy of photographing. And although you're generally tart and inedible on your own, you pair well with sweets to create a blend of sweet-tart that is quite unique and delicious. 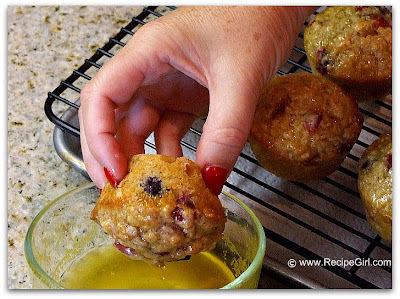 I loved you in these: Cranberry Whole-Grain Muffins with Sweet Orange Glaze. Ok, enough about my love affair with this seasonally gorgeous fruit. 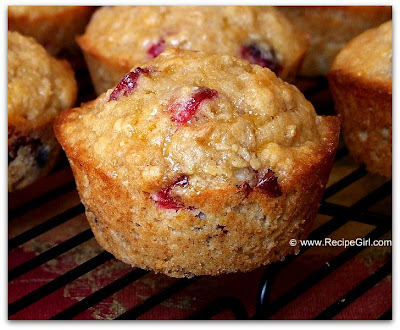 Since I have a 7 year old muffin-maniac living in my house, I'm always on the hunt for muffin recipes that are a tad bit on the healthier side. The kid can down two or three for breakfast, so they might as well be less like cake and more like a nutritious meal. While these have plenty of sugar, at least they're made with whole wheat flour and oats and minimal fat. The muffin tops are dipped into an orange glaze, which adds a sugary sweetness to every bite. 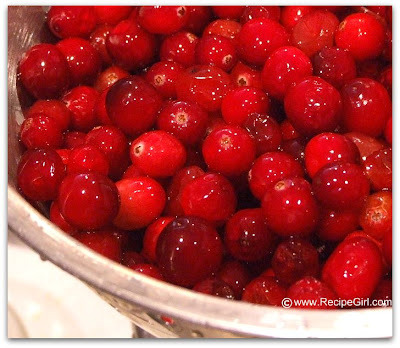 Cranberry + orange = yummy. These muffins baked up perfectly with a nicely raised muffin top. The flavors were great... tart, sweet, and moist too. The kiddo ate his usual allotment and begged for more. I'd say they were a smashing success. 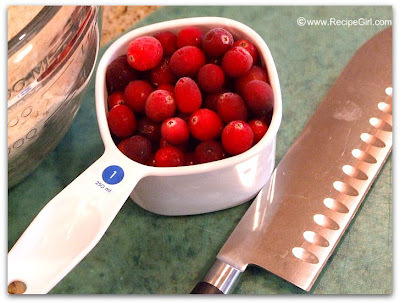 Don't forget to pick up extra bags of cranberries this season to throw into the freezer for later. They'll keep for a looooong time, and you can enjoy them now and then for several months to come. And now for the winners of the Gourmet Giveaway! My husband actually started a new job about a month ago, and things have been better than expected. He came home yesterday to let me know that he didn't charge a customer and decided to pay for it himself because he could tell they needed it. It's not something I've done, but I was happy that my husband did that! I helped an elderly lady at the grocery pick up a huge bag of kitty litter and put it in her cart even though my arms were full of groceries, and there were 3 or 4 other people around who pretended to be oblivious to her struggling. Please use the contact form in my right side bar and send me your email address... and your gifts will be on their way! Thanks to everyone who participated... I hope to do some more great giveaways sometime soon!